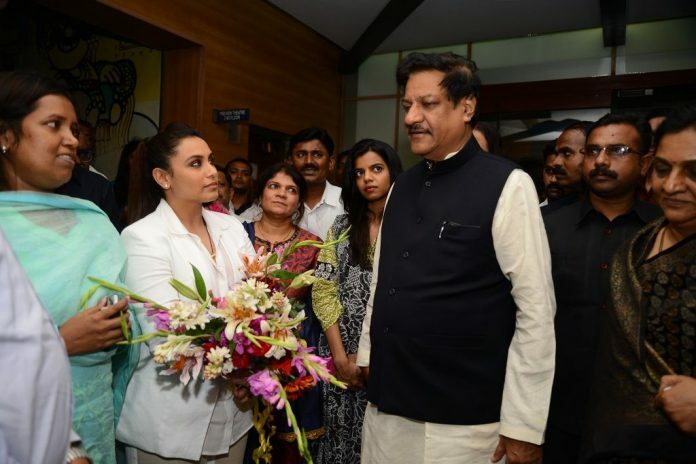 Maharashtra CM gets treated to a special screening of Rani Mukherji’s Mardaani. 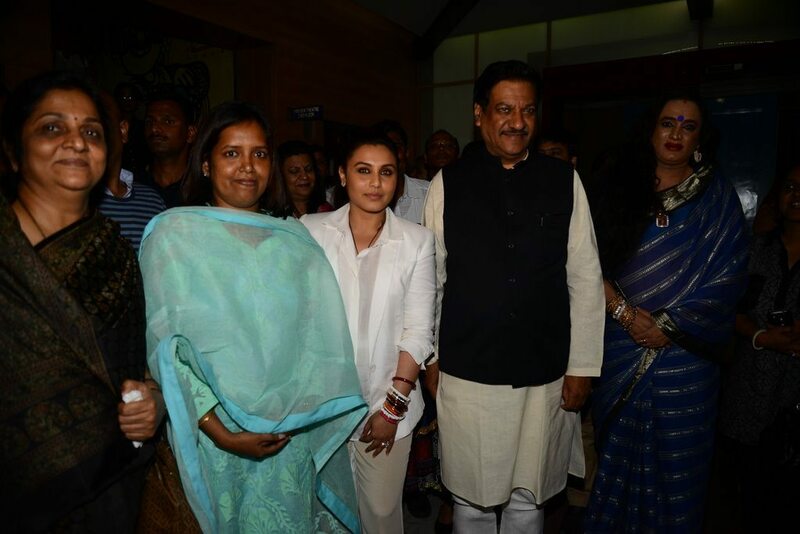 Bollywood star Rani Mukerji hosted a special screening of her movie ‘Mardaani’ for the Maharashtra Chief Minister Prithviraj Chavan at Famous Studios in Mumbai on August 27, 2014. 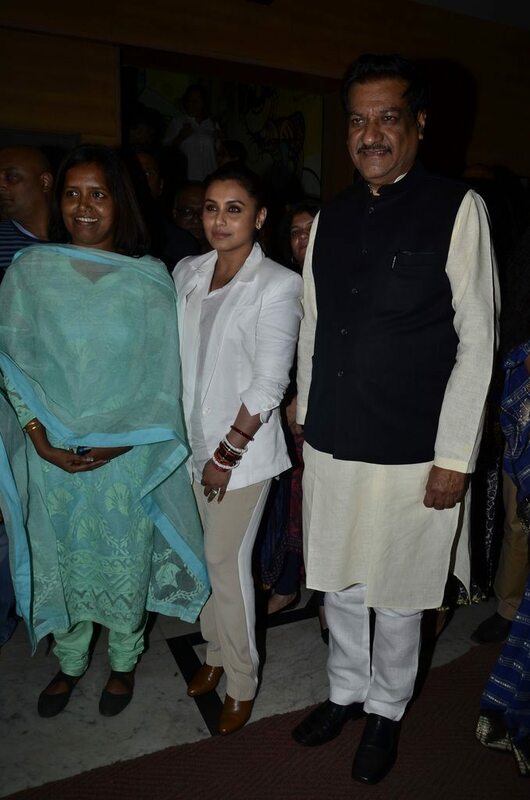 The ‘Ghulam’ actress was snapped interacting with the state CM at the event. Rani kept to her Mardaani style look in a formal white suit and hair tied back in a firm ponytail. 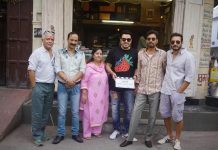 ‘Mardaani’ hit the silver screens on August 22, 2014, the film was a woman-centric one, which had Rani playing the role of a tenacious female cop – Senior Crime Branch Inspector Shivani Shivaji Roy. 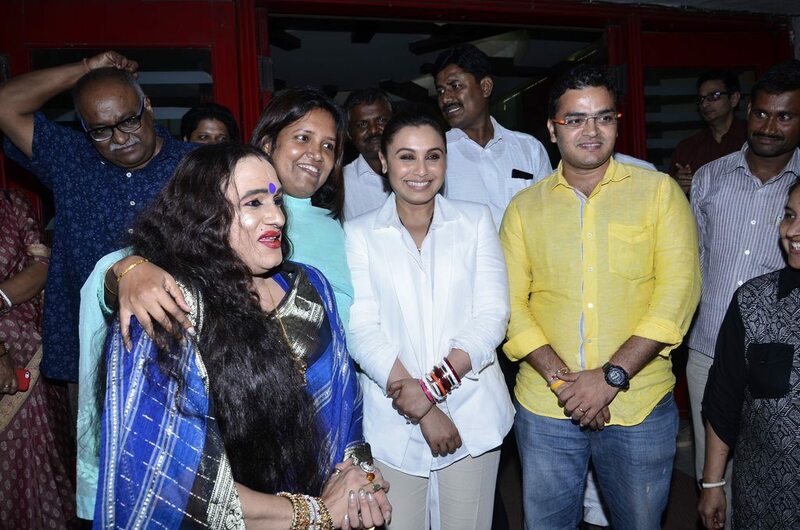 Critics and audiences have praised Rani for her performance in the film. 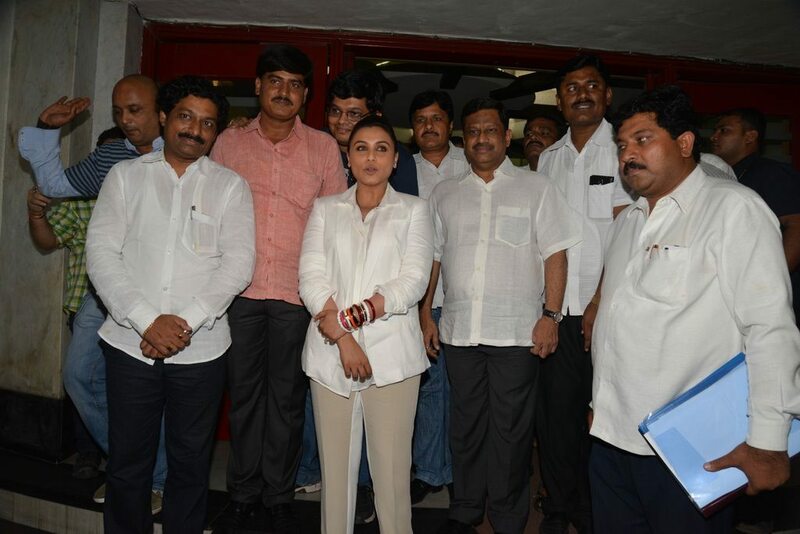 The Pradeep Sarkar film has also marked Rani’s return onto the silver screen post her wedding to Yash Raj honcho Aditya Chopra.